How often do you clean your house…your car…your body?! Ever ask, “How often do I clean my well?? 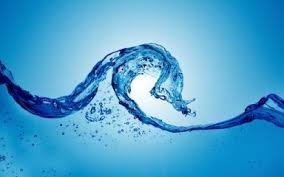 ?” Anytime there is a presence of water, there is a gateway for the presence of bacteria. Living Water Systems recommends that your well and system have a Chlorination performed at least once a year. We offer a unique whole-system chlorination procedure that “shocks” and kills up to 99% of naturally occurring bacteria. By performing this at least once a year, bacteria that has been growing in your system can be neutralized, keeping a safe and healthy source of water for your household. Often times we find that by having a simple maintenance plan, you may eliminate the need for costly and obtrusive treatment equipment attached to your system. Click on our “Scheduling” tab below to easily schedule a one-time Chlorination for your home. For those who would like a worry-free & low cost yearly well maintenance plan, please click on our 'LivWell Plan' tab for more information!